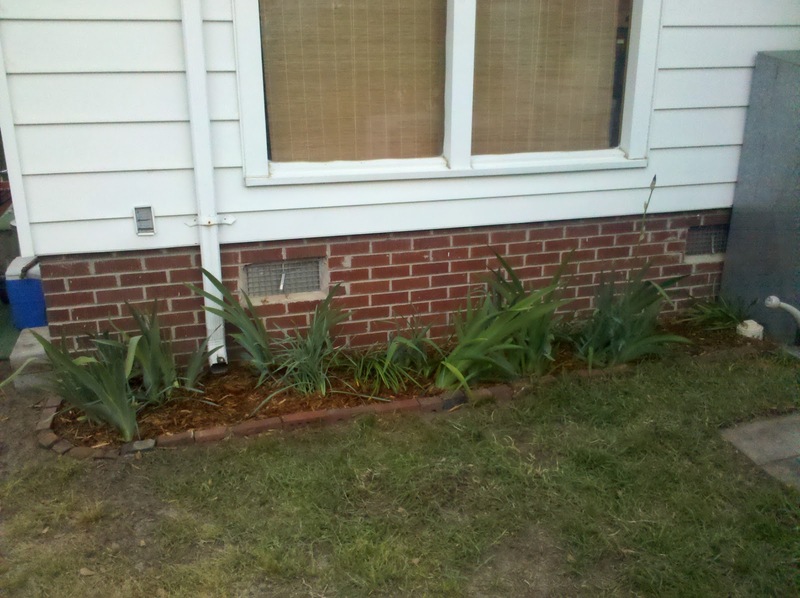 So, last Sunday was spent cleaning up a flower bed along the back of our house that was full of weeds and leaves from this past winter. It needed some good attention from me. I pulled weeds, raked out old debris, more or less just straightening things up so it would look more to my liking. Once the cleaning was done, I could tell that something was missing. I have been adding brick borders to things lately and this flower bed needed one. I was able to do this from some randomly collected bricks from around the yard. I have to say, I am very happy with the end result. 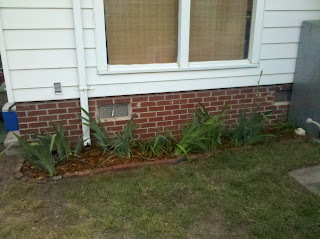 I finished things off with a nice layer of fresh cedar mulch. 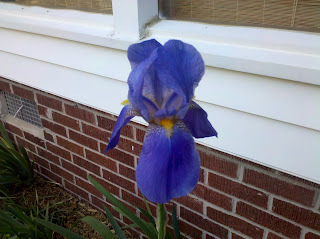 This flower bed is home to the Purple Iris. I just learned that Iris takes it's name from the Greek word for rainbow, refering to the wide variety of flower colors found among the species. So to my surprise the other morning, I walked out into the backyard to look at the flower bed, and there was a beautiful Iris in full bloom. Well, I hope you enjoyed that as much as I did. Get outside and explore your back yard, get your hands in some dirt, rake some leaves, pull some weeds. It sure can be rewarding and can be a wonderful adventure. Another great surprise in that bed was finding some mint plants. They've been potted since they'll spread. That's one less plant to buy for the herb garden this spring. Can't wait for the mojitos.